An exciting opportunity has arisen to become part of the Ophthalmology team at The Shrewsbury and Telford Hospital NHS Trust. We are looking for two enthusiastic Consultants to work in our dynamic and expanding Ophthalmology team. Full time and part time applications are welcome and the post is available as soon as an ideal candidate or candidates are found. We would welcome applications from individuals with experience in general ophthalmology with a sub specialist interest that will support the delivery of the demands of the service. 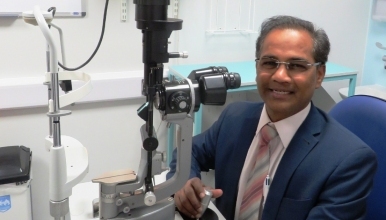 It would be desirable although not essential that you may have sub specialist interest in Glaucoma, Corneal or Medical Retina however other areas of sub specialist interests will be considered.